How to input traditional Chinese characters by using Pinyin? 3. 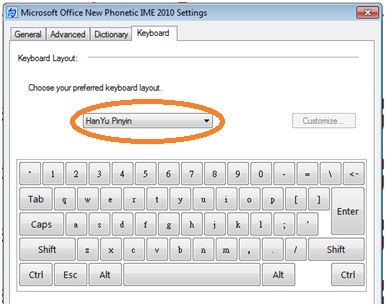 Change the keyboard to “Hanyu Pin” as in the following steps. You can remove “cang jie” input method. 4. The installation and change settings have completed. You can start to type traditional Chinese characters using Pinyin. 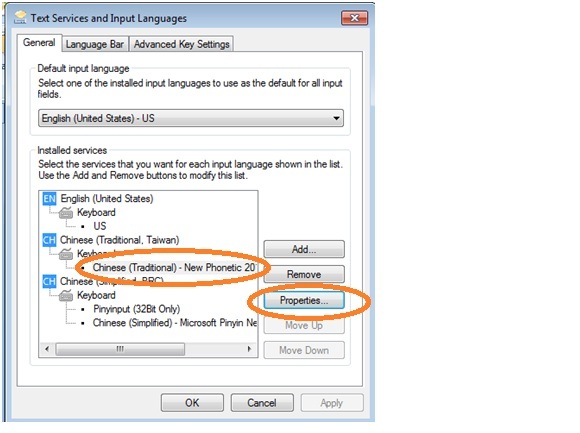 To switch from Chinese to English or vice versa, press "Shift" and "Alt" keys at the same time. Use "down arrow" to choose word.